Meet Courtney! 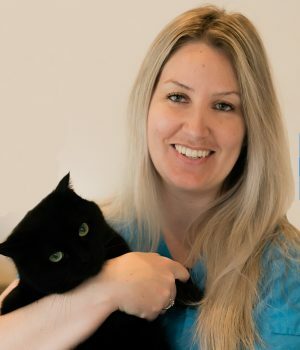 Kleinburg Veterinary Hospital’s Veterinary Technician. Courtney graduated from the University of Guelph in 2008 and obtained a Bachelor of Science Honours Degree in Animal Biology. She has also taken courses in canine massage therapy and is interested in canine rehabilitation and behaviour. She has been in the veterinary industry as a veterinary technician for many years. In her spare time, she enjoys taking her dogs for walks on nature trails, spending time at the cottage with family and friends, wakeboarding, and snowboarding. Courtney is pet mom to two dogs, Enzo a playful Boxer, and Chico an adventurous Chihuahua.